You are here: Home » Everything Else » Other » Happy Mother’s Day! I have been having a lovely day with my family. I had a long lie-in and was then woken up with pancakes in bed. After enjoying breakfast I had the opportunity to read a few chapters of Small Island and then we headed out for the day. 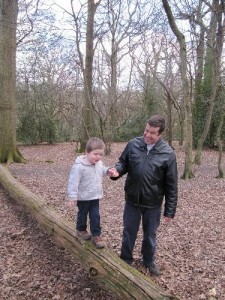 We had a picnic and then went for a walk in the wood. 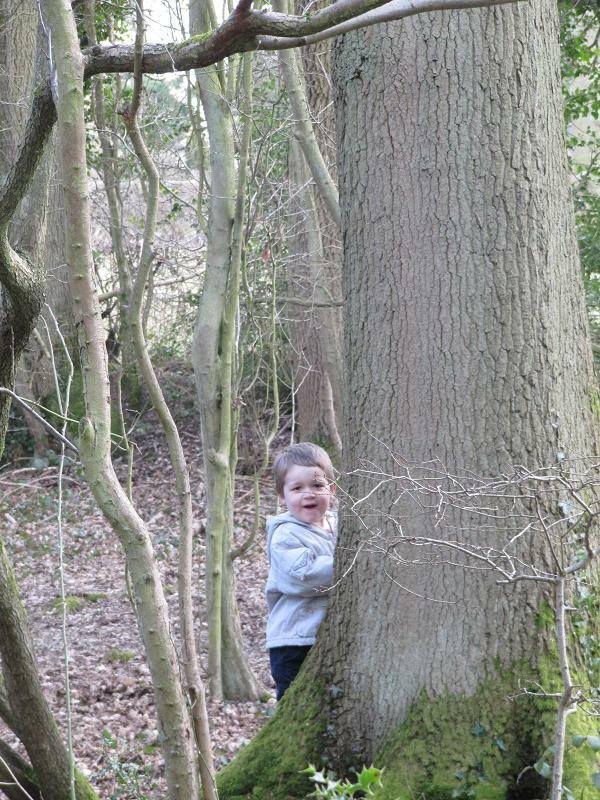 We played hide and seek…. 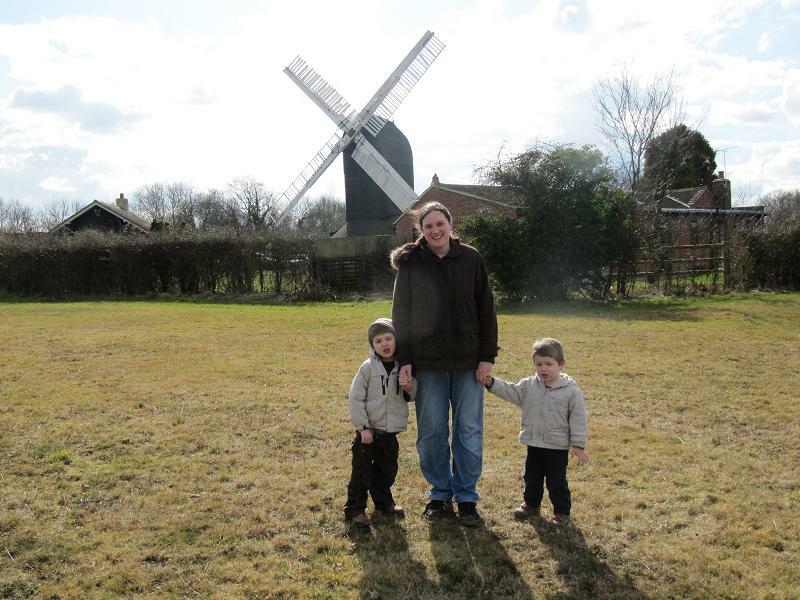 ….and discovered a lovely old windmill. I’m off to spend some more time with my family. I hope you have had a good weekend too! Well happy day to you and all of us mothers! It sounds like you had a wonderful day…your pictures are beautiful! Happy mother’s day to you! Lovely to see your family, you guys are too cute! Happy mother’s day to you!! Love the pictures. Happy Mother’s Day; it sounds like you spent it in a lovely way! Yay – you’re reading Small Island! I love it when people read Small Island. Lovely post, Jackie! Have a happy mother’s day and enjoy reading more of Small Island (I look forward to your thoughts, as always). It’s nice to see you and your family, Jackie! Happy Mother’s Day! Whoops, I commented from a PC with my old blog address in the reply field. This one has the correct link. Lovely photos of the family! Jackie, Happy Mother’s Day! Your pictures are precious! I loved seeing pictures of you and your family, Jackie! It sounds like you’re having a wonderful Mothers Day! Happy Mothers Day! Looks like a perfect family day. It’s nice to see those pictures as you don’t share your personal photos very often . Happy Mother’s Day! Happy Mother’s Day too you Jackie. Funny how dates can differ on some holidays. Thanks for sharing the pictures of your family on “your special day”. What a lovely day! Happy mothering Sunday. Happy (belated) Mother’s Day, Jackie! I sounds like it was perfect: breakfast in bed, reading, and time spent with family in the lovely outdoors. Happy Mother´s day, and thank you for sharing this happy post with us! Happy Mother’s Day! I am, once again, relieved to remember that Mother’s Day is different in the UK and I have not been a bad daughter. Happy Mother’s Day a bit late. It looks like you enjoyed a perfectly lovely day!